Earth is a beautiful place to live in, provided we have not experienced its deadly phenomenon. Events surrounding the disappearance of the plane marks how unpredictable and mysterious earth is. People usually don’t forget their first experiences but one needs to get out of the event to share their experience with others. Here this most mysterious Plane disappearance leaves us puzzled. A new theory is emerging by winding down the search for MH370 with brief results to prove. After almost two and a half years of piercing for trails of MH370, over 110,000 square kilometers efforts of ministers started fading. 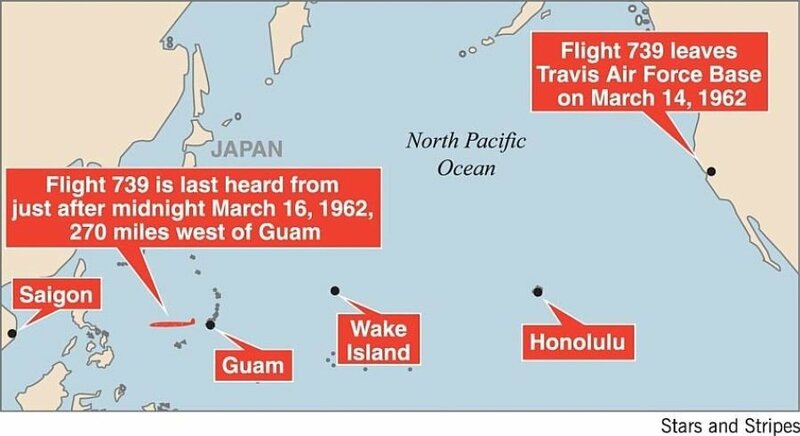 The debris discovered in June 2016 on an Australian island reportedly indicated that the plane drifted down to the surface of the ocean instead of falling out of the sky. There were 239 passengers on board who left no traces of existence. There is a confusion with the information found on captain Zaharie Ahmad Shah’s simulator. The confusion started when New York Magazine reported that an FBI analysis of the device showed captain had conducted a simulated flight to southern Indian Ocean less than a month before the plane vanished. This was then concluded as a plan of murder masses. Officials from Malaysia, Australia, and China announced closure to underwater search once it scoured. 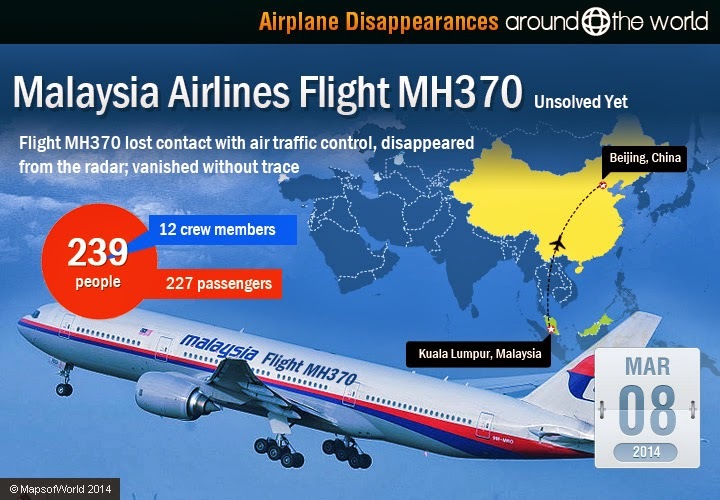 The Malaysia air flight is the latest mystery in a long line of plane puzzle aviation. The forgotten American air flight Boeing 727-223 departed with its lights off and its transponder malfunctioning, not in a very maintained condition to take off from Quatro de Fevereiro Airport in Luanda, Angola. Despite the lively scoured search for the flight by FBI and CIA there was no promising evidence found. It’s been more than 13 years that America lost its largest commercial aircraft with 747 families of airliners. It was one of the iconic manufactured aircraft with a capacity to carry large payloads passengers and freight long distance. The most shocking thing is two Pilots Ben Charles Padilla and John Mikel Mutantu were not certified to fly Boeing 727-223. The Douglas DC-4 is a transport aircraft with a piston-engine airliner build by Douglas Air company from 1942-1947. On 21st July 1951, the DC-4 departed from Vancouver which was due to stop at Anchorage Airport, Alaska. The weather in the area worsened with heavy rain and icing conditions with a visibility of 500 feet. No intimation was received from the aircraft and at 12.44 AM an emergency warning was issued when it was too late to report. Till date, no traces of the craft and occupant had been found. 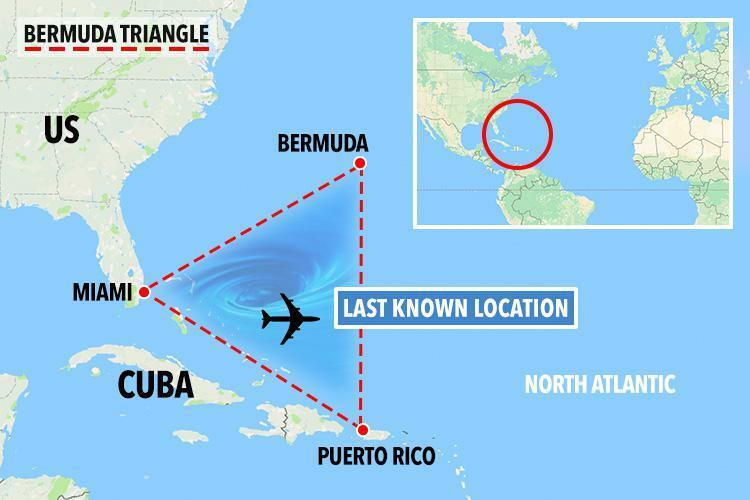 The Bermuda Triangle which is also known as Devil’s Triangle is one the most mysterious place on the Earth. It is a usual to hear disappearance of ships, boats, cruise and air crafts in the area which stretches over the Atlantic Ocean bordered by a line from Florida to the islands of Bermuda, to Puerto Rico and then back to Florida. A training mission was planned by American bombers over the area and was never recovered in 1945. Three planes were sent to this bomber mission rescue when the lost their signal with the radio station, but even those planes vanished. Again, in 1948 and 1949 two British South American Airways passenger jets disappeared in the region and more than 51 people were lost on the flight and never found. 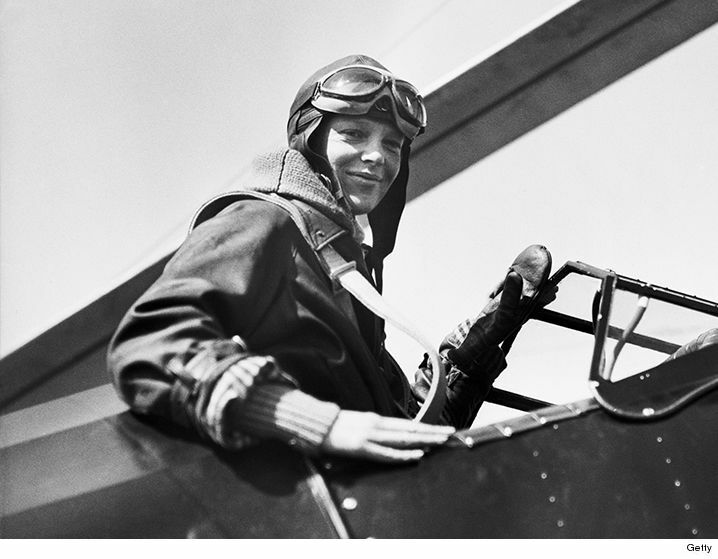 An author and an aviation pioneer, Amelia Mary Earhart was a U.S Distinguished Flying cross award holder. She marked history with her brave achievements. In 1937, during an attempt to circumnavigate the globe devastated admirers across the U.S and around the world, this tragic attempt marked her disappearance and broke many hearts. Amelia Earhart accompanied by Fred Noonan were disappeared during circumnavigating the world, it is heard that her plane ran out of fuel. Yet there is no strong evidence to prove her disappearance over the central Pacific Ocean near Howland Island. 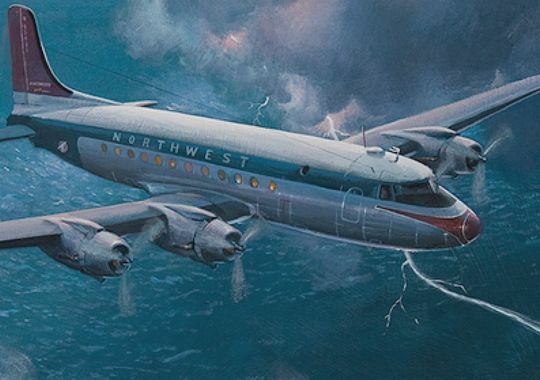 Flight 2501 was a Douglas DC-4 airliner with four Pratt and Whitney, R-2000 engine. This tragedy took place back on the night of June 23, 1950. There were 55 passengers on board with three crew members, the loss of all 58 lives marked the deadliest commercial Airliner accident in American history. The plane went down over Lake Michigan. Michigan Shipwreck Research Association, stated that captain Robert Linda decided to fly the plan into a dangerous storm that other pilots avoided. Flying Tiger Line Flight 739 was a Lockheed L-1049 Super Constellation plane that prompted one of the largest air and sea disappearance searches in the history of Pacific Ocean. On 16th March 1962, 93 U.S Soldiers and three Vietnamese boarded the flight from the Travis Air Force Base, California heading towards Saigon, Vietnam. The plane disappeared in the Phillipines after refueling at Andersen Air Force Base in Guam. 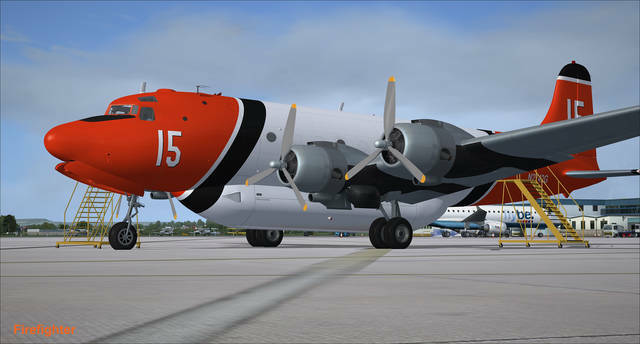 A local tanker operator reported of a mid-air blast which was believed to cause the disappearance of the Super Constellation. However, no wreckage or debris was ever found. All 107 on board were declared dead.